Incorporated in 1922, Paramus is a small borough located in popular Bergen County, New Jersey. With steady growth over the years and convenient access to Manhattan, it continues to be a great location for young professionals and growing families to make their homes. In 2013, New Jersey’s mayor named Paramus as a “New Jersey Healthy Town” under the statewide Wellness Campaign. Paramus is a unique borough that is known for its strict blue laws and popular shopping attractions. In fact, it generates more retail sales than any other zip code in the country! 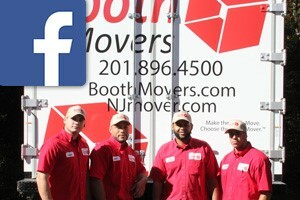 If you are a Paramus resident planning a move, then Booth Movers is the professional Paramus moving company of choice! Our experienced Paramus movers have been providing Bergen County residents with high-quality moving and storage solutions at fair, honest prices for decades. A BBB-accredited company and certified ProMover, Booth Movers is the premier choice for all of your residential relocation needs! As a proud agent for Atlas Van Lines, our Paramus movers have the support and resources needed to make any moving project a breeze! With a global network of moving professionals and the highest-quality equipment, you can rest assured that your next relocation will be a seamless, stress-free experience! To find out more about our Paramus moving services, check out the following links! Residential Moving – Booth Movers is equipped to handle any relocation project, regardless of where life takes you! Household Moving – From small apartments to expansive homes, our Paramus movers have the experience to get the job done efficiently. Local Moving – If you need to move within the Bergen County area, our Paramus moving company will make sure that your experience exceeds your expectations! Long-Distance Moving – Take the stress out of your long-distance relocation by letting Booth Movers handle all the details! Interstate Moving – Moving to a new state can be daunting task, but the professional team at Booth Movers will guide you through each stage of the process. Full-Service Moving – Whether you have a complex specialty move or need full-service packing for your relocation, our Paramus movers do it all! International Moving – Booth Movers offers comprehensive international moving services that include customs clearance and expert crating. Interested in learning more about what Booth Movers has to offer? Give us a call today to hear about our Paramus moving services! You can also fill out our simple online form to request your free, no-obligation estimate!